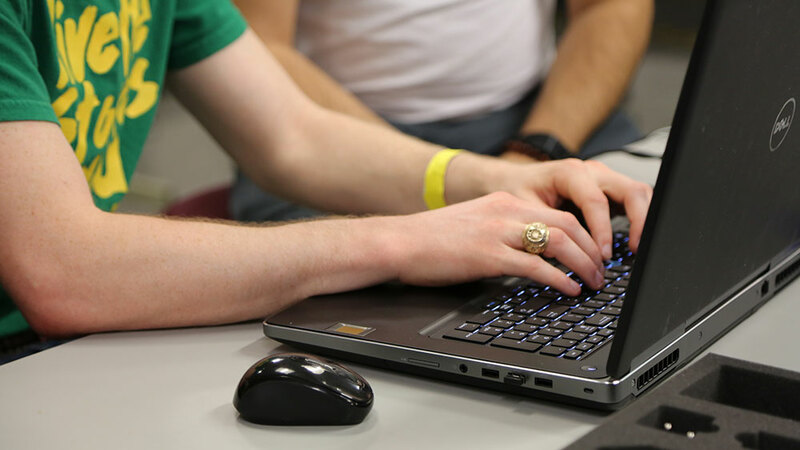 Just as we require our students to have specific textbooks and supplies in order to gain the highest quality engineering educational experience, the college of engineering requires our students to purchase a computer to complement the course instruction. The vast majority of the students entering the college already bring some form of desktop or laptop computer with them when they begin school. Unfortunately, the variation in the types of computers makes it next to impossible for instructors to routinely ask students to use their own computers in the classroom. A computer designated by the college and purchased by entering students will provide students the convenience to explore course content anytime, anywhere. While there are many computers available, the college can only guarantee performance and provide support for the specific computers identified by the appropriate link below. These computers will accommodate most of the needs of an engineering student throughout a four-year degree plan, balancing performance, cost and expected life of the computer. The computers have been negotiated with the various vendors, which are external to Texas A&M University, at a price point that is lower than what an individual would likely be able to negotiate. For financial aid recipients, the purchase of a computer device can be considered in your cost of attendance. To request this, please complete the Request to Change Cost of Attendance form for Scholarships & Financial Aid. Submission of documentation does not guarantee additional aid will be awarded to you. In certain situations you may not be eligible for additional funding. Your engineering education requires a computer to complement the course instruction. Undergraduate students entering the college of engineering are strongly encouraged to purchase from our list of recommended and supported devices. Doing so guarantees performance, and hardware and software support throughout your years here as an engineering student. Should you choose a device not on this list, know that we cannot guarantee that the required software will run effectively, or that our IT team will be able to support your device. No student will be denied admission to Texas A&M University based on an inability to purchase a computer.